JACKSONVILLE, Fla. — Multiple people are dead and injured after a fellow gamer fired about a dozen rounds in the middle of a tournament in Florida. A gaming expert says there was limited security. 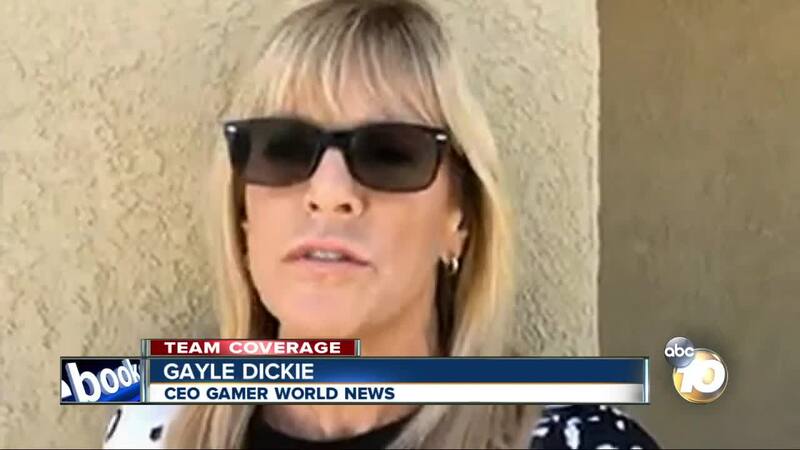 Gayle Dickie, CEO of Gamer World News , said these kinds of tournaments happen all over the world and all the time. "This is horrifying, really," she said. The shots rang out on the second and final day of the Madden 19 Tournament . Players entered Chicago Pizza on the first floor of Jacksonville Landing and Dickie said there was little security. "It's unfortunate because it was a smaller event, I mean it wasn't a large event," Dickie said. "If you go to events like the Barclay's Center or Staple's, you're going to go through a metal detector." Inside, gamers entered their own world. "It is probably the biggest quality of a gamer, to have that intense focus, so everybody was focused on gameplay," Dickie said. She added that made it easy for 24-year-old David Katz to find his targets. "It sounds like he knew who he was going after, so you know and you saw the two players sitting there. I saw the video and you can see them sitting there, and it didn't take him long, you know, obviously he knew what he was looking for," she said. Dickie said gamers can be as young as 12-years-old at these competitions. "It's just shaken the core of the gamer community . No one would ever think that something like this would happen," she said. Dickie said the gaming world provides a place for everyone to find a niche community to which they belong. Now she hopes everyone watches out for one another. "I think this will be the focal point of being aware of your surroundings no matter where you are," she said.